Last night on my way back home, I was getting pop-up on my iPhone, telling iOS 11 is available for my iPhone. I thought it was another Public Beta release, but apparently it was not. It’s the final iOS 11 aka iOS 11 GM. I would like to directly install it, but unfortunately my battery is not enough, so I waited until I reach home. 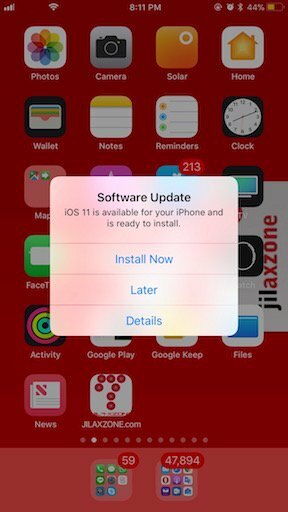 When I reached home, I did check my wife’s iPhone to see if she gets the same pop-up like me, but apparently she’s not getting any, so I got this conclusion, those who are participate on Beta or Public Beta program, are eligible to get iOS 11 final version ahead of everyone else. 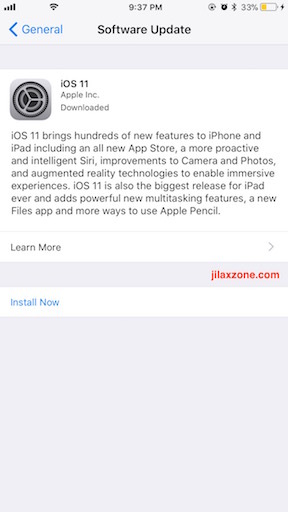 Now, for you guys, if you would like to install iOS 11 before everyone else, before Apple make it public, here’s how to do it. These steps below are totally FREE, no jailbreak needed, no hacking needed and totally safe. 2. As a safety measure, please always backup your data in case anything worse should happen. 3. Install a public beta profile on your iPhone. Go to this link on your iPhone or iOS devices. Then click “Download Profile”. 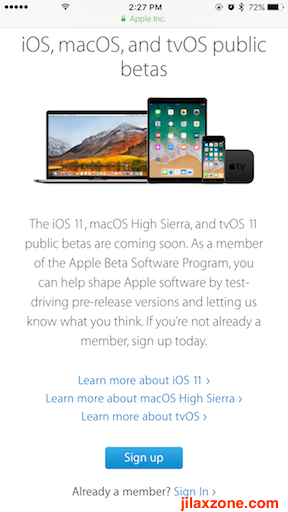 Although you already have similar beta profile on your iOS device(s), you are still required to download the latest beta profile in order to be able to install iOS 11 public beta. 4. 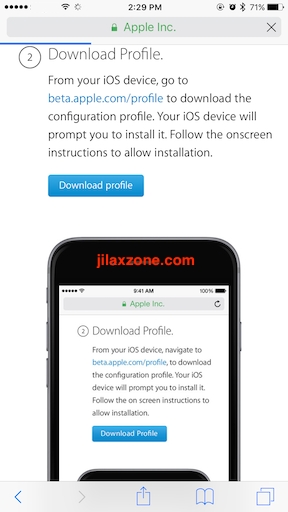 Once profile has been installed to your iOS device, it will prompt you to restart. Restart the phone. 5. Once restarted, if not prompted by the pop-up, go to download and install iOS 11 final version, go to Settings > General > Software Update. You should find iOS 11 final version info there. 6. Tap on “Download and Install” to download it and proceed to install after that. 7. Wait until it finishes downloading the iOS 11. Once download finished, make sure you have at least 50% of battery left on your iPhone or iOS device or simply plug your iPhone or iOS device to the charger and start installing. 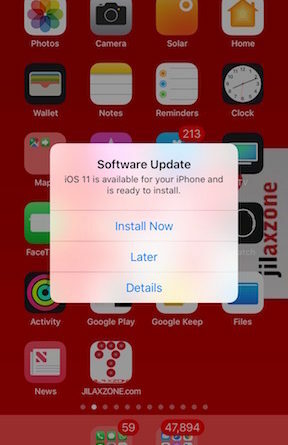 Once installed, it will restart your iOS device and that’s it. You are ready with iOS 11. Congratulations to be the first few people in the world to install and use iOS 11 final version. These are list of new iOS 11 features that I have been testing myself on iOS 11. 1. Offload app. 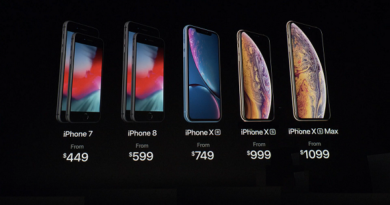 It’s a feature to save your iPhone and iOS device space. Do check here on how to use it. 2. Create loop photo using Live Photo. Do check here on how to make one. 3. Built-in QR Code Scanner on iOS Stock Camera app. Do check here on how to use it. 4. Low Power Mode shortcut to activate Low Power Mode easily. 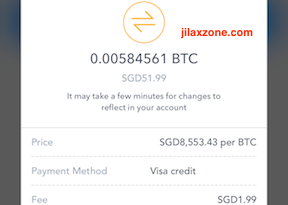 Do check here on how to perform the shortcut. 5. Shutting down your iPhone or iOS device never been easier. Do check here on how to easily shutting down your iPhone and iOS device using the new way introduced on iOS 11. 6. Record your iOS screen. Now works well with browsers. Do check here on how to start record your iOS screen. 7. One Handed Keyboard. Easily hold and type with your iPhone using only one hand . Do check here how to activate one hand keyboard. 8. Shortcut to turn ON/OFF Cellular Data. Great for those cellular data-conscious people like me. Do check here how to use it. 9. TrimmingMessages app to reclaim space. Do check here on how to use it. 10. Restart your iPhone or iOS device easily without using Power button. 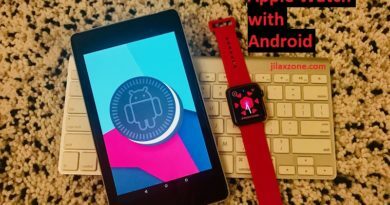 Do check here on how to easily restart your iPhone and iOS device on iOS 11. 11. Discover Hidden Setting Display Auto-Brightness. Turn ON/OFF Auto-Brightness on iOS 11 to enhance your screen viewing or to save battery. Do check here on how to discover the hidden setting. To discover other features, news, tips and tricks related to iOS, do check here.